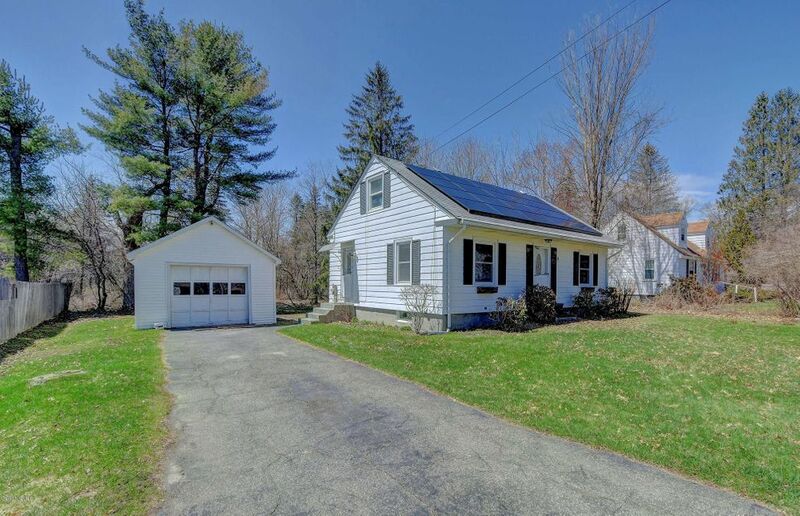 This pretty updated and renovated Cape style home has so much to offer. The kitchen is tastefully done with a beautiful tile floor. The main floor bathroom boasts newer commode and pedestal sink. It is freshly painted. Large main floor bedroom if you don't want to do stairs. The formal dining room with builtin china hutch and sliders to the deck have beautiful wood floors, as does the living room. The home has solar on the roof and is transferable to a new owner. A nice back deck, one car garage and flat backyard make this a great buy!